Select black and white silver halide darkroom enlargements and digitally-scanned prints from Hubbard’s original large format 4 x 5 negatives; professionally processed by reputable photography labs and printed on quality acid-free fiber-base papers. 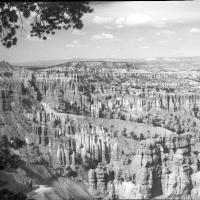 Darkroom enlargements and digital reproductions of the original vintage black and white large format negatives: the people, landmarks and popular viewpoints throughout the Navajo Nation in the northern reaches of Arizona. Grand Canyon darkroom enlargements and scanned prints from Hubbard's 4 x 5 large format negatives. 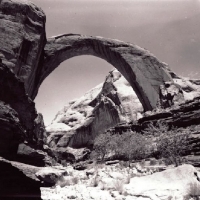 The original 4 x 5 negatives of prominent of natural arches and remote canyons along the Colorado Plateau. 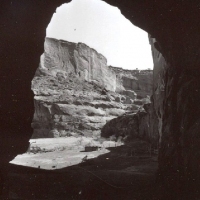 Darkroom enlargements and digital reproductions of the original vintage black and white large format negatives: Glen Canyon and Lake Powell before, during and after construction of the dam.